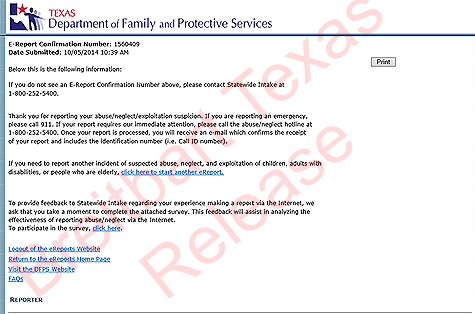 DALLAS, Texas -- Breitbart Texas has learned a complaint was filed with Texas Department of Family and Protective Services, also known as CPS. The complaint was filed on Sunday morning by a concerned Dallas citizen who had read about Dallas County Judge Clay Jenkins going into the apartment where Ebola patient, Thomas Eric Duncan, lived while he was sick. 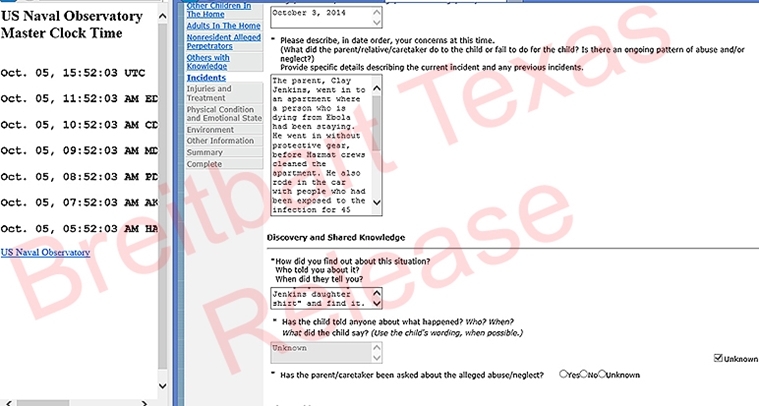 Jenkins was in the apartment with four people who had been directly exposed by Duncan to the Ebola virus. Jenkins said, in a subsequent press conference that he was going home to his wife and nine-year-old daughter after he discussed being in the apartment again and driving the exposed family to their new home -- a forty-five minute drive. At no point did Jenkins appear to wear any protective clothing. CBSNews reported today that "an infectious disease expert at the National Institutes of Health says it is 'absolutely' possible that one of Duncan's contacts will get sick in the coming days"
"I would not be surprised if one of the people who came into direct contact with Mr. Duncan when he was ill will get Ebola. You can't say. You can't put a number on it. It's impossible to do that. But there certainly is a risk," Dr. Anthony Fauci who heads up the Allergy and Infectious Diseases Institutes at the National Institutes of Health (NIH), said on CBS' "Face the Nation" Sunday. 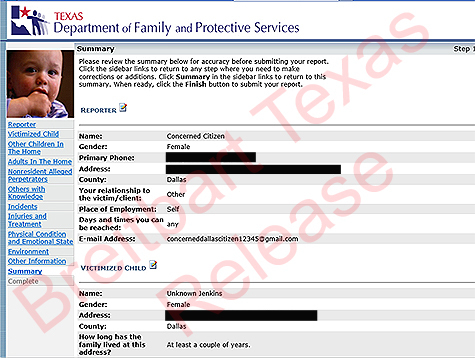 Breitbart Texas previously reported that Jenkins had been seen several times entering the apartment, where Duncan lived and had been ill for at least two days, on Thursday and Friday. On Thursday night Jenkins shocked the Dallas press corps when he and two women were seen entering the quarantined apartment while not wearing any protective clothing. Hazmat experts entered the apartment on Friday wearing Tyvek hazmat protective suits. Late Friday afternoon, Jenkins was seen entering the apartment again and on the front balcony with several of the exposed minors who were in close proximity to Jenkins. Duncan remains in critical condition at Texas Health Presbyterian Hospital. Originally published on Breitbart Texas.